In this episode: Holy Week, 2018. 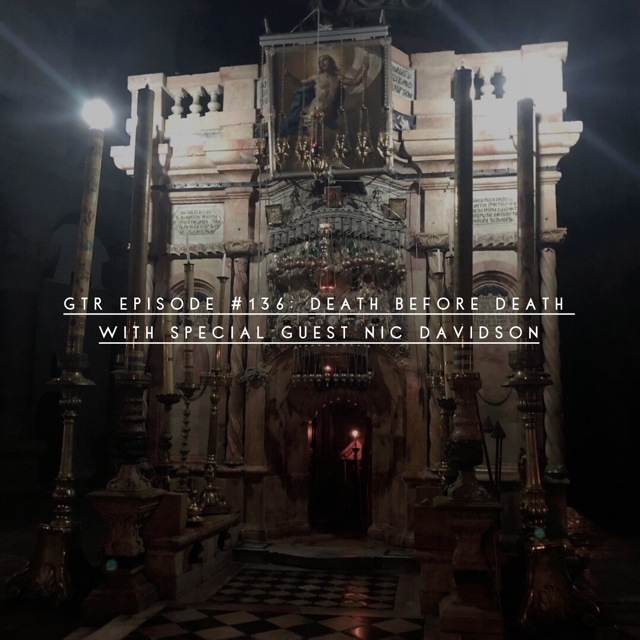 Special guest Nic Davidson offers powerful words of wisdom on sacrifical love, adooption, and much more. The significance of the Olive Tree and how it ties in to Holy Week. Last minute preparations for the Arise retreat, and much more! Click here to find out more about Nic Davidson. Become a GTR "Good Friend" of the show! Click here to learn more about the Podbean Patron program. Thank you for your support! In this final episode before Easter: 15 Ways to observe Holy Week. Click here for the full article. Special Guest Bobbi Bankovich is in studio to talk about discovering our spiritual gifts. She talks about this survey that helps uncover our particular charisms and how to use them. Exciting news about Arise and bringing you into the retreat in a virtual way. Autism Awareness month, and much more! Also, Brooke shared the information in episode #091 about the Jim and Joy show on EWTN. You are invited to call the program and you may be put on-air! The date is: Monday, April 17 from 1-2 CST (that's 2-3 EST). You can call in anytime during that date/time! The number to call is: 205-271-2980 -or- 800-221-9460. You are welcome to leave feedback, ask questions, and be a part of the show! 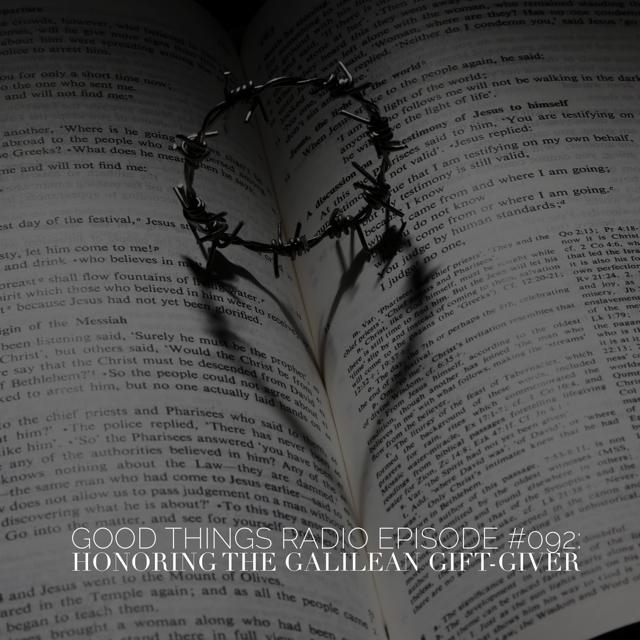 OR EMAIL US, SEND US YOUR COMMENTS HERE (feedback@goodthingsradio.com). In this episode: Holy Week, day-by-day. Brooke shares simple, little ways that families can observe Holy Thursday, Good Friday and Easter Sunday. Fr. Nathan Cromly joins Brooke to talk about prayer techniques in another installment of “Padre in Your Pocket.” Brooke shares listener feedback from Chija, Barb, CJ and Tracey about “Running and Worship,” and much more!